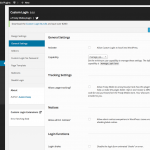 The Custom Login WordPress plugin keeps gets better, and with 999,827 downloads and counting, you can bet that it will continue to improve and be more feature rich. 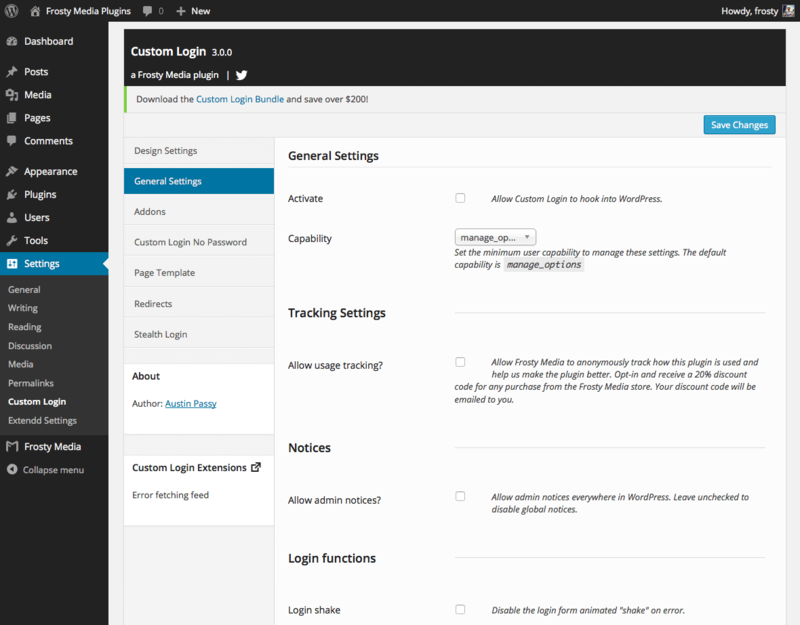 When Custom Login 2 was released we added the ability to extend how that plugin functioned. Since version 2 was released in April of 2013 we’ve added 7 extensions, with more on the way. The Bundle; All extensions for a steal! Custom Login: Stealth Login – obscure your login URL. 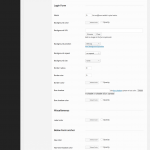 Custom Login: Page Template – turn a WordPress page into a login form. Custom Login: Redirects – redirect users by role after logging in. Custom Login: No Password – allow users to login without a password. Custom Login: Style Pack #1 – four custom login styles that can be activated at the push of a button. Custom Login: Style Pack #2 – four custom login styles that can be activated at the push of a button. [NEW] Custom Login: Style Pack #3 – four custom login styles that can be activated at the push of a button. User Hash Key logins (think generated guest logins with-out having to use the login form). “Super User” only access for client sites. WordPress Login CSS style remover (for sites that see a quick flash of the default login page) – option added in Version 3.0 of Custom Login. Grant access to Custom Login and be sure you turn on the CSS output of the plugin by visiting the Settings > General Settings tab and checking Activate. For those looking to showoff your login screen, check out the Flickr group! Share you designs with the community! Follow development on GitHub, submit issues, fork your own version or help make Custom Login better. Plugins are subject to a yearly license renewal for support and updates. View license terms. You are fully protected by our 100% No-Risk Double-Guarantee. If you don’t like this plugin over the next 14 days, then we’ll happily refund 100% of your money. No questions asked.